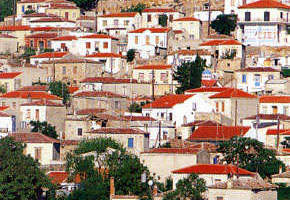 The main town of Central Lesvos is Kalloni, a thriving commercial and cultural centre since ancient times. 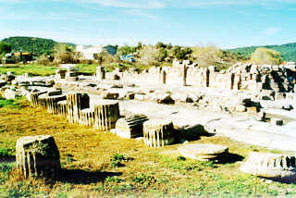 The archaeological finds of the area prove that it has known days of prosperity during the Byzantine and Medieval periods. 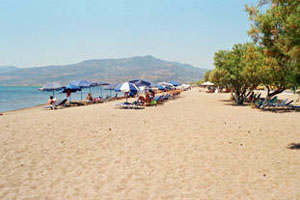 At a distance of 4 km south from Kalloni, after the picturesque hamlets of Ariana, Kerami and Papiana you can find Skala Kallonis, which in resent years has developed as a tourist resort. In the springtime of each year, birdwatchers that visit the island in large numbers come to observe the flying population (indigent and migrant). 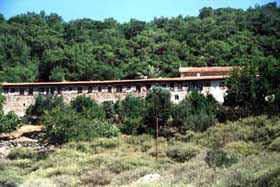 At a distance of 3 km northwest of Kalloni is the Monastery Limonos. 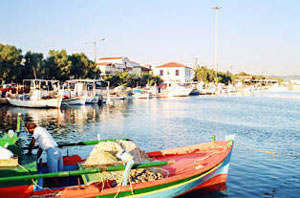 During the Turkish Occupation it was the only intellectual centre in the island and the spiritual centre of Christianity. It has a library, a museum of Ecclesiastical Art and a museum of Geology. In the near vicinity you can find the Convent of Panayia Myrsiniotissa. Inside the Cathedral you can admire valuable Byzantine icons, an old fretwork icon-screen and significant wall paintings.